Today BRICKS 4 KIDZ® has over 600 locations in more than 45 countries. BRICKS 4 KIDZ® Australia is a Child Safe Child Friendly organisation and our number one priority in any activity is the safety of children under our supervision. Our Child Safe Child Friendly policy is available here for download. Tonya began her career in education in both primary and secondary levels. Whilst finishing her Master’s degree in International Studies at Loyola University Chicago, Tonya moved into corporate enterprise and has more than 20 years’ experience in successfully leading business service operations in roles ranging from greenfield start-ups to organizational change management. Her career has included roles across a wide range of industries including Education, ITT, Banking, Media and Venue Operations. Eager to return to her entrepreneurial and education roots, Tonya founded Constructivology Pty Limited which independently owns and operates the franchisee for BRICKS 4 KIDZ® in Sydney’s Northern Beaches. Constructivology Pty Limited is dedicated to the development and delivery of community-based educational enrichment programs. BRICKS 4 KIDZ® encourages children to learn fundamentals of science, technology, engineering and mathematics (STEM) in a non-competitive setting through play and socialization. Tonya’s Working With Children Check number is WWC0639582E. Tonya holds current First Aid qualifications from St John Ambulance Australia. 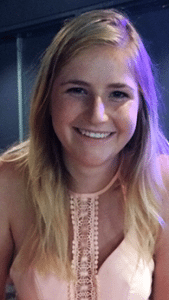 An enthusiastic educator, Teagan holds a bachelor of primary education from the University of Sydney. Teagan is passionate about working with children and ensuring they all participate and have fun. 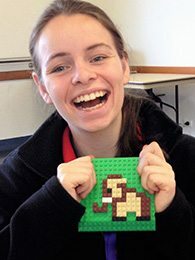 Teagan had been a part of BRICKS 4 KIDZ® Northern Beaches since its inception. Teagan love the opportunity to work with the kids and be a part of their learning process. Teagan’s Working With Children Check number is WWC0614449E and she holds current First Aid qualifications from St John Ambulance Australia. Stephanie has a passion for improving children’s’ lives and is particularly interested in child psychology. 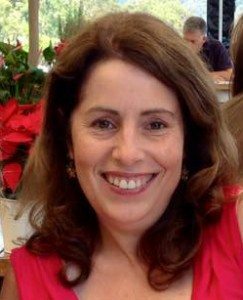 Stephanie has been part of BRICKS 4 KIDZ® Sydney Northern Beaches since its inception and enjoys leading school holiday programs during her term breaks. She loves to build relationships with the kids that she meets at BRICKS 4 KIDZ® and feels privileged to be a part of their learning experience. Stephanie’s Working With Children Check number is WWC0547180E and she holds current First Aid qualifications from St John Ambulance Australia. Marc Hinson is a qualified OH&S specialist and workplace trainer with more than 16 years’ experience in the energy sector. He has a Work Health and Safety degree from Macquarie University and Certificate IV in Assessment and Workplace Training. Marc shares our passion for delivering community-based educational enrichment programs and sees the BRICKS 4 KIDZ® programs using LEGO® as a great medium for engaging children in educational activities. He has been with the franchise on a part-time basis since it started and enjoys leading school holiday programs. His OH&S expertise helps provide a safe and fun environment at all of our workshops. Marc’s Working With Children Check number is WWC0655051E. Marc holds current First Aid qualifications from St John Ambulance Australia.